We are leading suppliers of RC Toys. AVCS Systems India Pvt. Ltd. 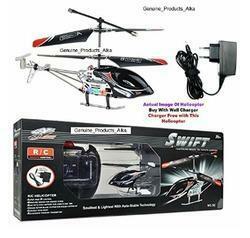 Remote controlled Helicopter is an exciting toy that you can gift to your little one. This helicopter is easy to control and you fly it up down forward and backward. You can also spin left and right. 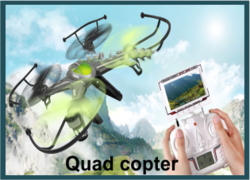 This infrared controlled helicopter flies stable and your kid will enjoy flying it. Our company has set benchmark in providing RC Plane to our customers. Havoc Hobby Center Pvt. Ltd.
With our expertise and trustworthiness, we are engaged in offering an optimum quality range of Silverlit Nano Falcon. The Helix hand Induction Batman Helicopter comes with a hand sensor. The flying can be controlled by Hand induction sensor. This is rechargeable and the adapter is available in the package. The Super hero figure emits light while flying and is good for flying during night time. This would be a great gift for children and it can be used both indoor and outdoor.